Welcome to the 12th season of the official IMSA Spotter Guide. The Motul Petit Le Mans is the final round of the 2018 series at Road Atlanta and takes place this weekend. This main IMSA guide features the Continental Tire SportsCar Challenge. As with previous years, the guide will be updated during race week with driver changes and any significant livery updates. 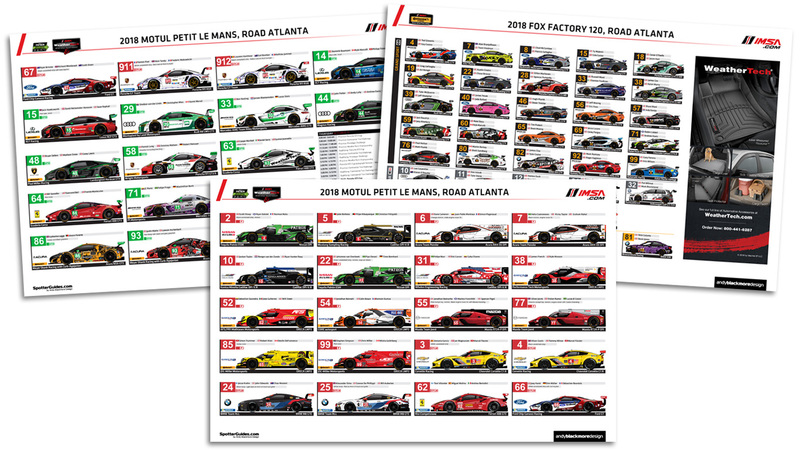 This is the dedicated page for the IMSA Spotter Guides during 2018 and the url will not change. 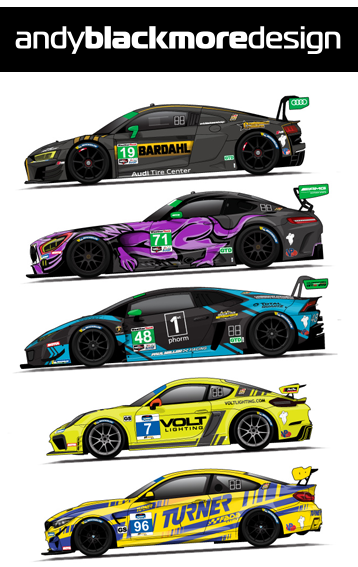 If you are at the event, Andy Blackmore Design and IMSA co-produce a Viewing guide which includes a printed Spotter Guides which is normally available in the IMSA FanZone area from Thursday of race week. Thanks to IMSA for partnering with the guide. 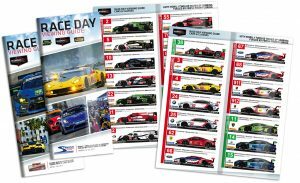 If you have found the guide useful, please feel free to thank IMSA on Twitter. Without their support, there would be no guide. hank you to all the teams who have helped with creating the guide. Virtually every team assisted in some way this year, so huge thanks! Massive thanks to the tens of thousands who have downloaded the guide or picked up one of the printed guides at the circuit. Also thanks to the media outlets which promote the guides including Radio Show Limited, IMSA Radio, DailySportscar and Sportscar365. The online Spotter Guide is produced by Andy Blackmore Design. The IMSA Race Day Viewing Guide is produced, race by race by IMSA, ISC and Andy Blackmore Design.